Adam Urquhart Student Engagement Award recipient Hannah Croce delivers the Student Address at the NCC Commencement Ceremony. 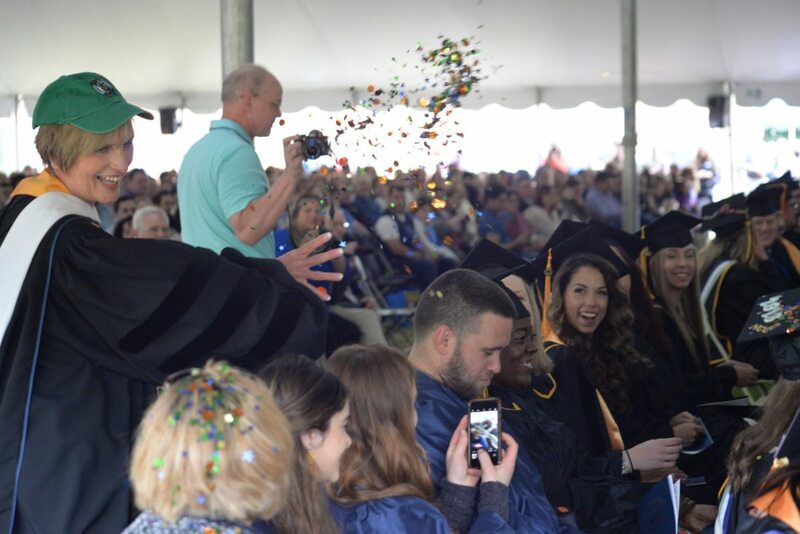 Adam Urquhart Following her Presidents Address, President of NCC Lucille Jordan, wearing a Boston Celtics hat, makes her way around the graduating class of 2018 throwing confetti in celebration of their accomplishment. Adam Urquhart NCC students from the graduating class of 2018 make their way to their seats at the start of the Commencement Ceremony. Adam Urquhart President of NCC Lucille Jordan delivers the Presidents Address at the NCC Commencement Ceremony. Adam Urquhart Alumni from the 1980 graduating class Hon. Melanie Levesque delivers the Commencement Address at the NCC Commencement Ceremony. 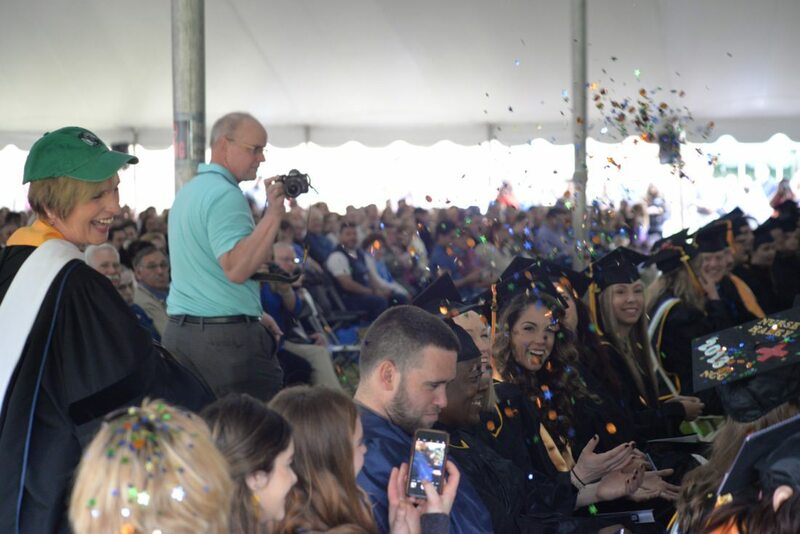 NASHUA – Approximately 200 of the 300 Nashua Community College graduates across the 35 associate degree and 23 Certificate programs crossed the stage as proud parents, family and friends gathered to watch beneath a large white tent on the campus lawn. 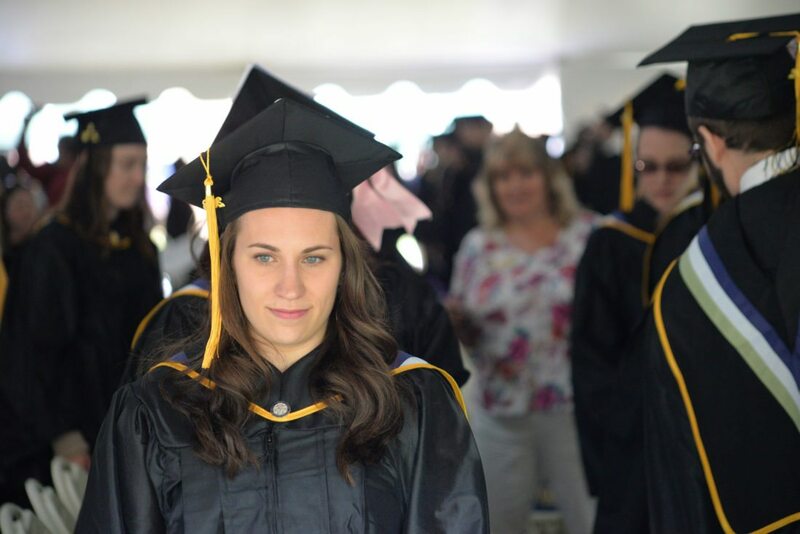 Their careers at NCC may have officially come to an end Saturday afternoon at the 47th Commencement, but their future’s as alumni are just beginning. She advised the graduates to keep an eye out for opportunities, and that they sometimes come as problems or challenges. She said finding the solution to those challenges can be the start of a new business or a field of interest. 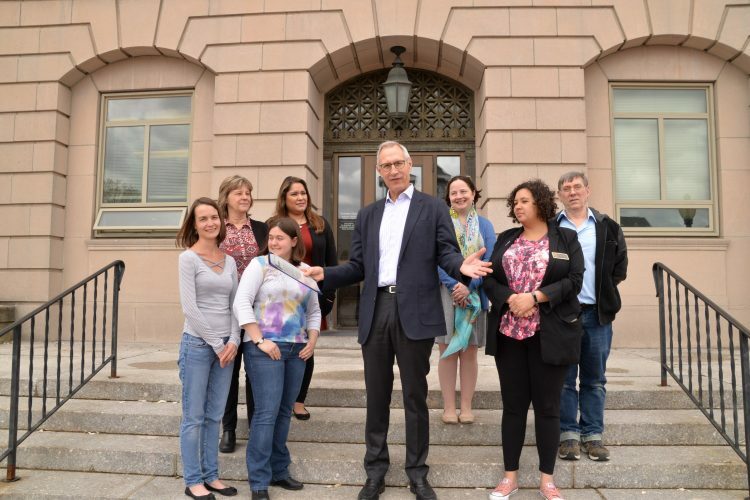 “Where there is a problem and a need, there is an opportunity,” Levesque said. 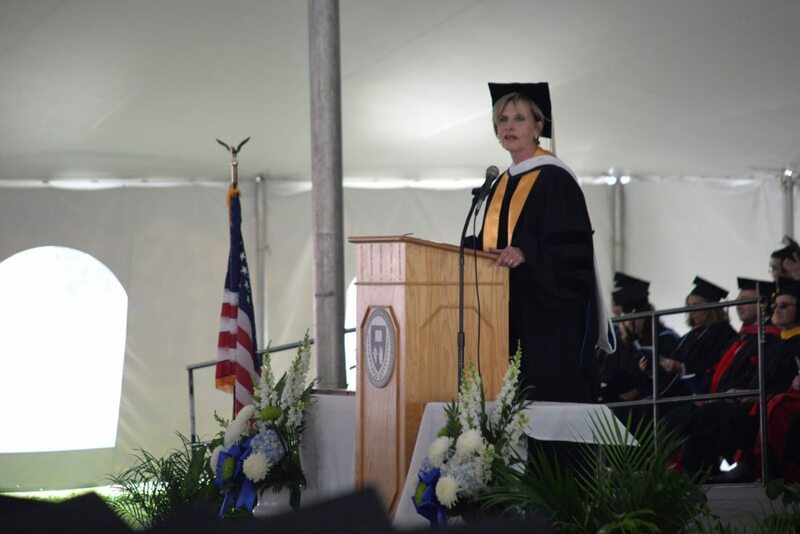 She concluded her address by thanking the class of 2018 for allowing her to share her journey from her time at NCC to where she is now, and said that tomorrow is a new day. Other speakers included the student address, given by Hannah Croce, and the president’s address, given by Lucille Jordan. Jordan said that as a class, these graduates logged 4,129 hours of service to the community. 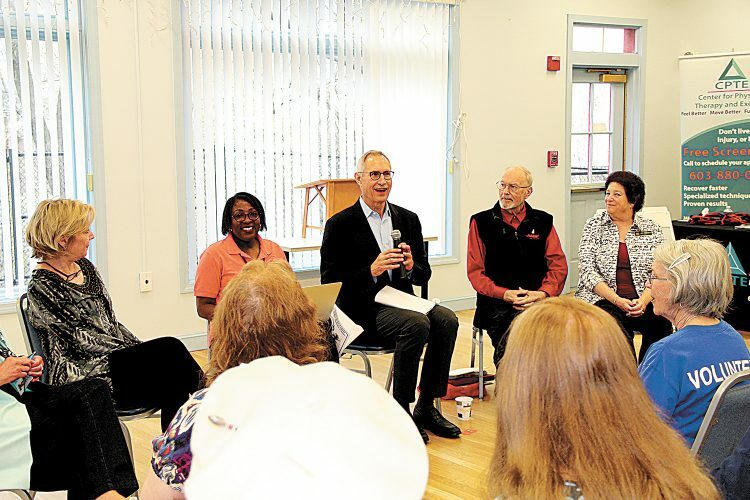 “Yes, you came to class, but you did more, through your courage, resolve and generous hearts you worked daily to improve the lives of others in the Greater Nashua Region,” Jordan said. 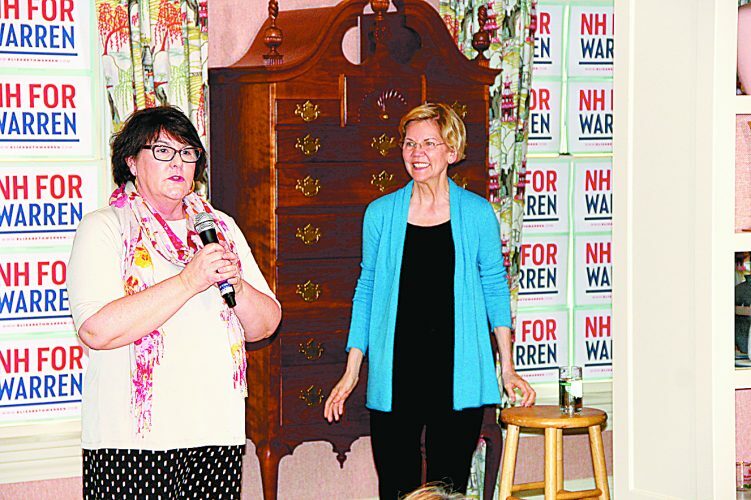 In her address, she said 22 years ago, she was given sage advice by the late New Hampshire Gov. Walter Peterson, her mentor. He was a basketball player who had a love for the Boston Celtics. She said that often times while they were talking, he’d weave basketball analogies into the conversation to get his point across. 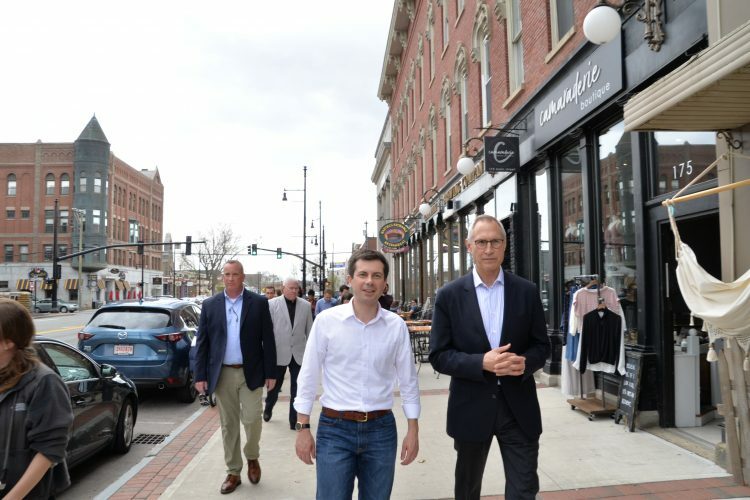 “Walter was telling me to have the courage to do the right thing for students, don’t worry about getting the headlines. Success is doing the right thing,” Jordan said. She then looked up at the the sea of students and attendees and passed on her own basketball advice to the class of 2018. 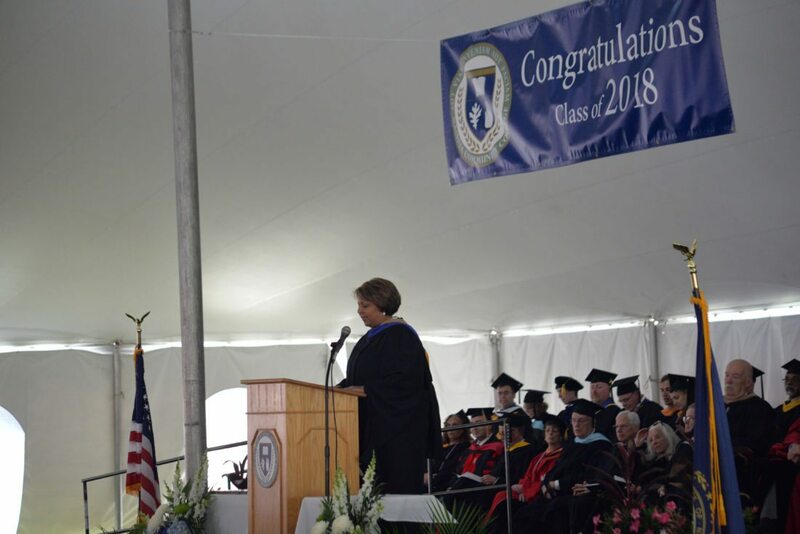 Toward the end of her address, she challenged students to commit themselves to making a difference in the lives of others, to make it part of their dreams, and to leave a legacy, not for thousands or hundreds of people, but to start by changing the world for one. 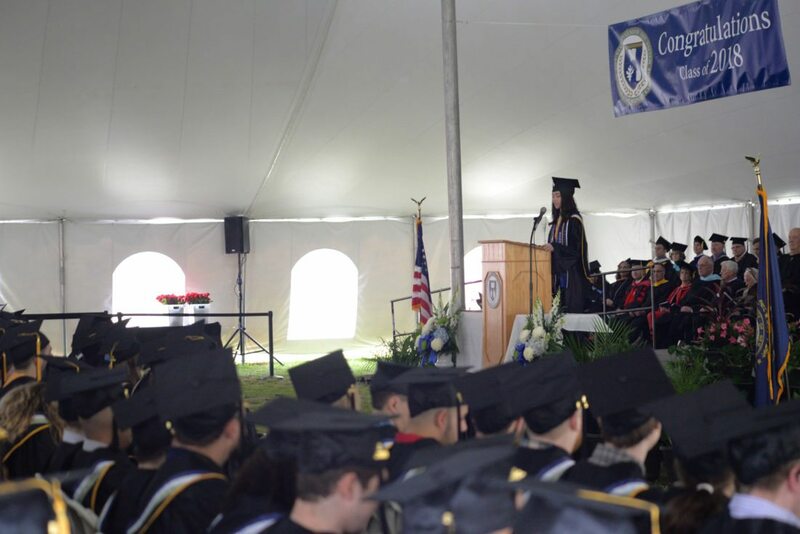 “Congratulations, and on behalf of the faculty and administration, it has been a privilege to walk with you, serve with and learn from you during your time with us,” Jordan said. 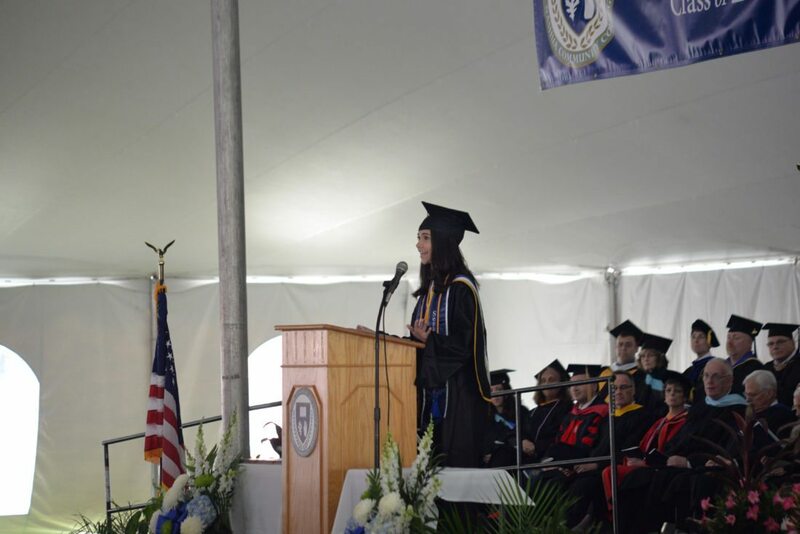 Prior to both the president’s address and the commencement address, Croce gave the student address. Jordan said that Croce’s next step is to pursue her bachelor’s degree and then, perhaps, law school. She said attending community college may not be the traditional path, but it’s one that brings a great deal of opportunity. While the dreams of hundreds of students came true Saturday, other dreams are soon to be embarked upon. Following the addresses, five awards were presented. The Associate in Arts Degree Honoris Causa and Chancellor’s Award for Service Excellence went to Thomas Jenkins, Chairman of the NCC Advisory Board for 15 years. The Chancellor’s Award for Teaching Excellence went to Professor Jennifer Tripp. The Student Engagement Award went to Croce. The President’s Award for Academic Excellence went to three students who all had a 4.0 GPA. They are Kristine DeCourcey, Howard Lewis and Ruth Sarkasian. 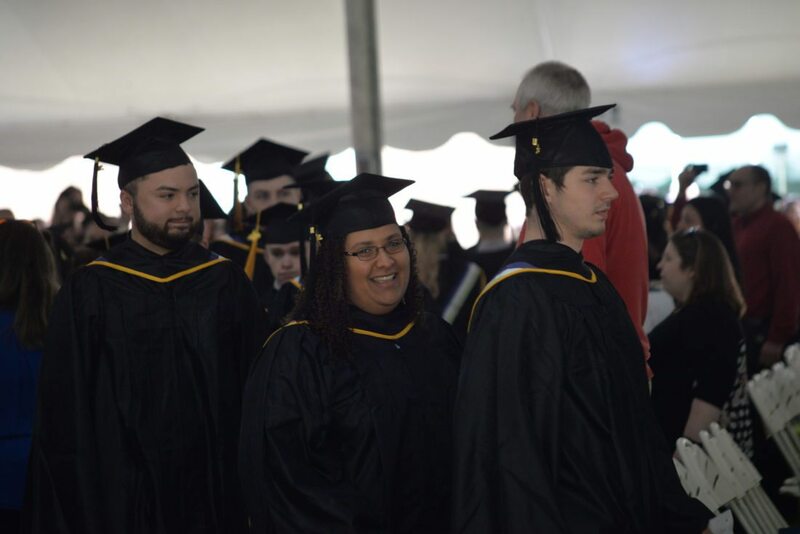 Once awards and speeches had been given, all the students participating in the Commencement Ceremony made their way up to the stage as their names were called, fulfilling one dream as they move on to the next.